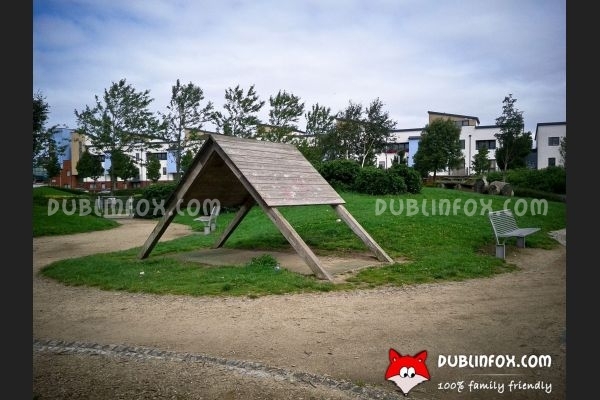 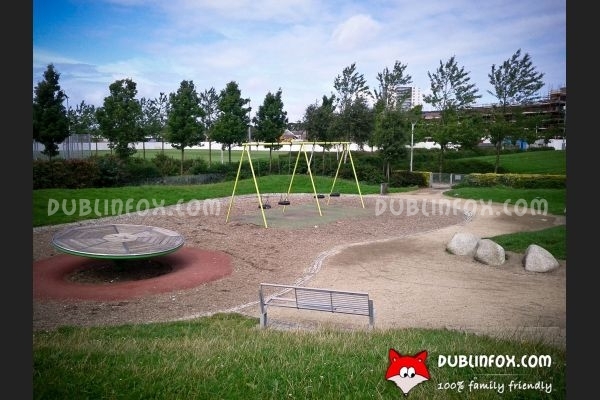 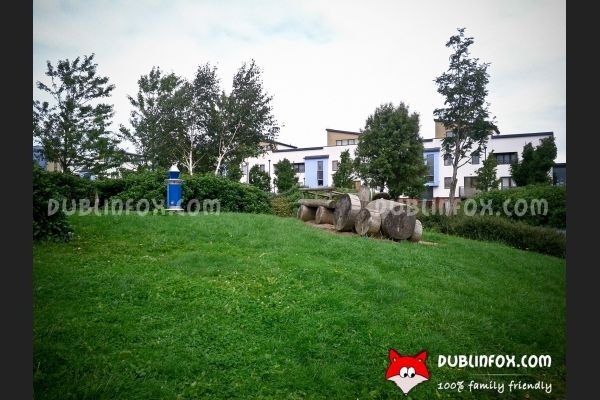 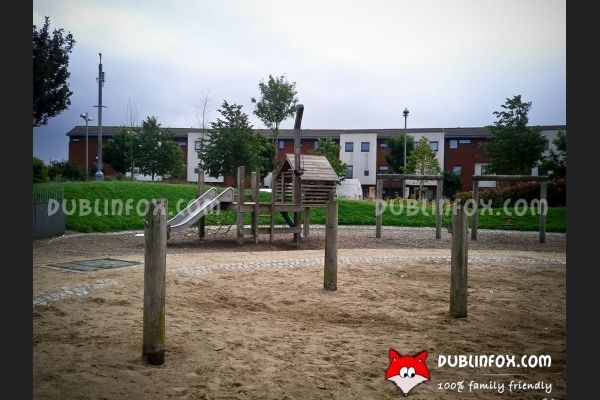 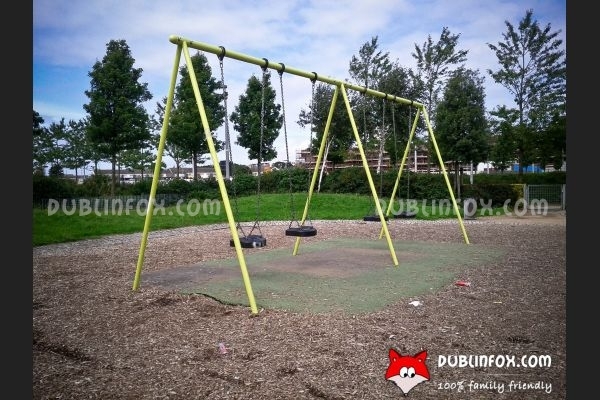 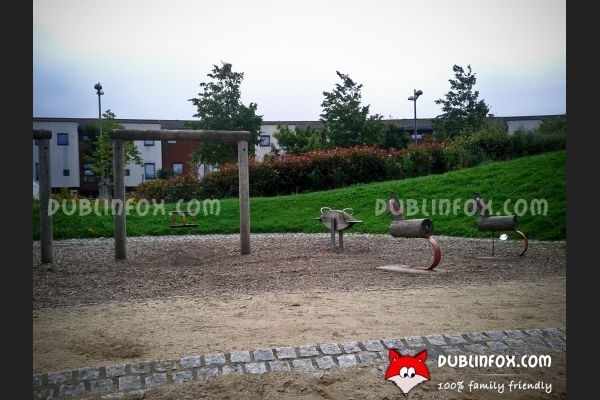 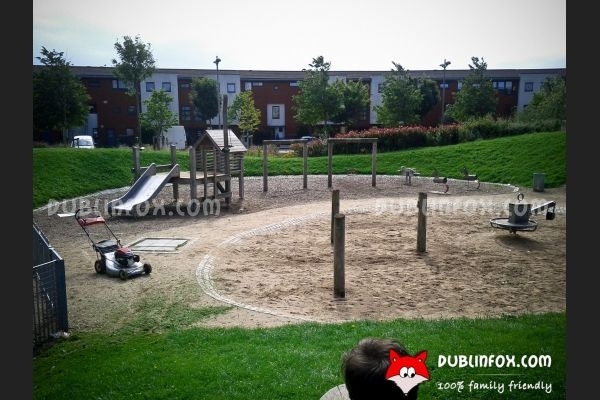 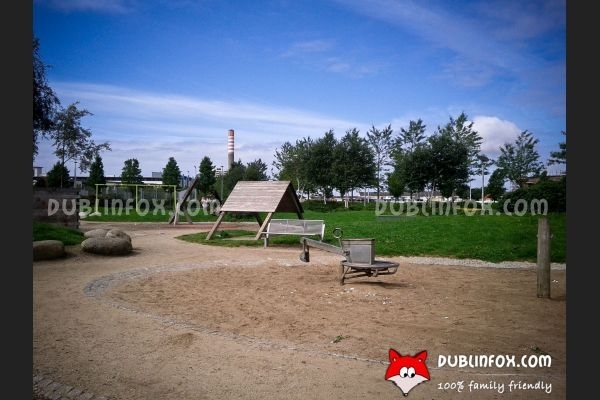 Coultry Park playground is one of the coolest playgrounds in the Ballymun area. 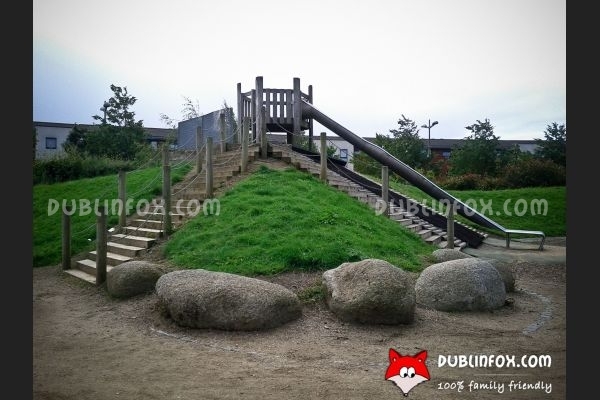 The playing equipment is made of wood and the whole place has a kind of "natural atmosphere". 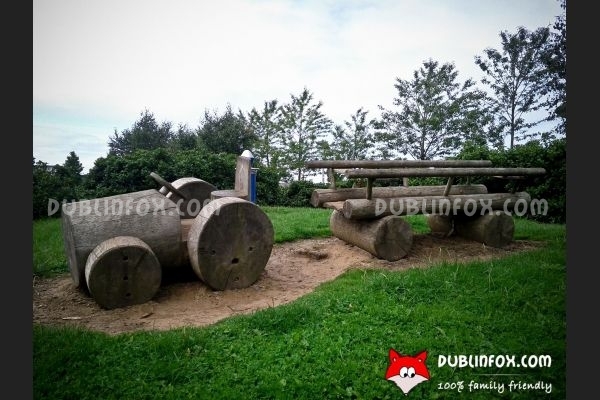 It is suitable for younger and older kids alike: for toddlers, there is a wooden tractor, a spinner, a see-saw, three springers, a nice slide with a play house and a sand pit with a digger, while for older kids there is a giant slide, some balancing units, a zip-wire, four swings, a dutch disc and a climbing wall. 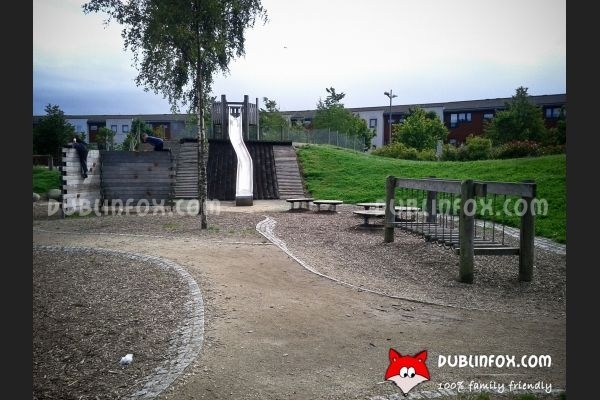 Fortunately, Coultry Park playground is tidy, well-maintained and unlike some other plygrounds in the area does not seem neglected at all, so it is definitely worth visiting if you live in Dublin 11. 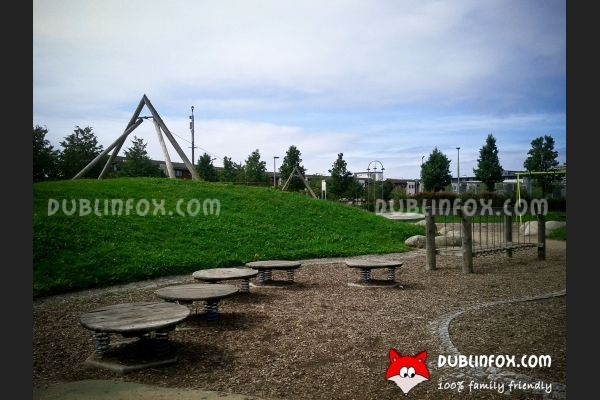 Click here to open Coultry Park's website in a new window.